Give your team the ultimate benefit of Free Vend. Your employees get complimentary drinks, snacks and food throughout the work day to keep them productive while your company covers the cost. 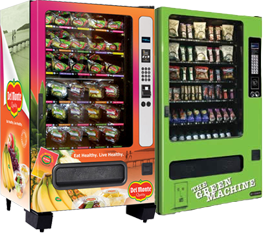 Let us set up your breakroom and keep your employees happy and healthy in the workplace.